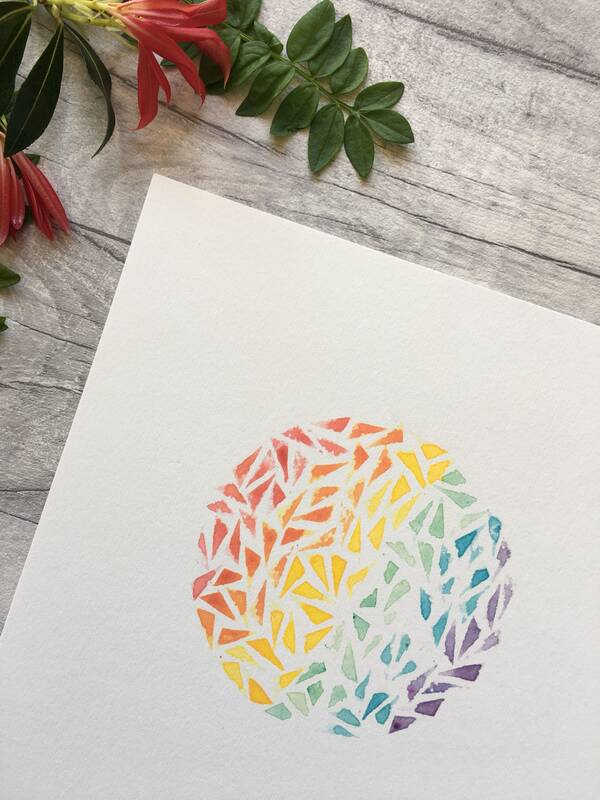 I made this beautiful circle using hand cut stamps. 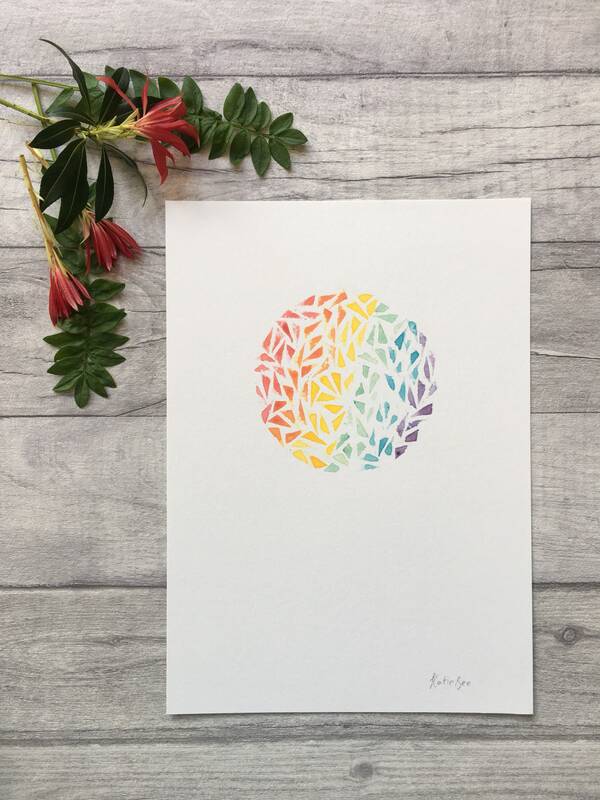 Each little triangle is carefully printed by hand which come together to form an awesome rainbow! 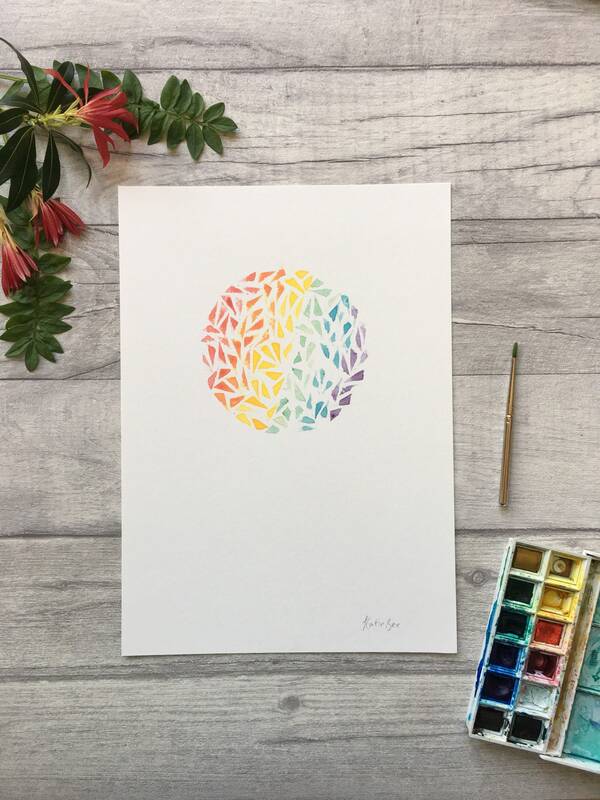 The colours flow through bright red, orange, yellow, green, blue and purple. 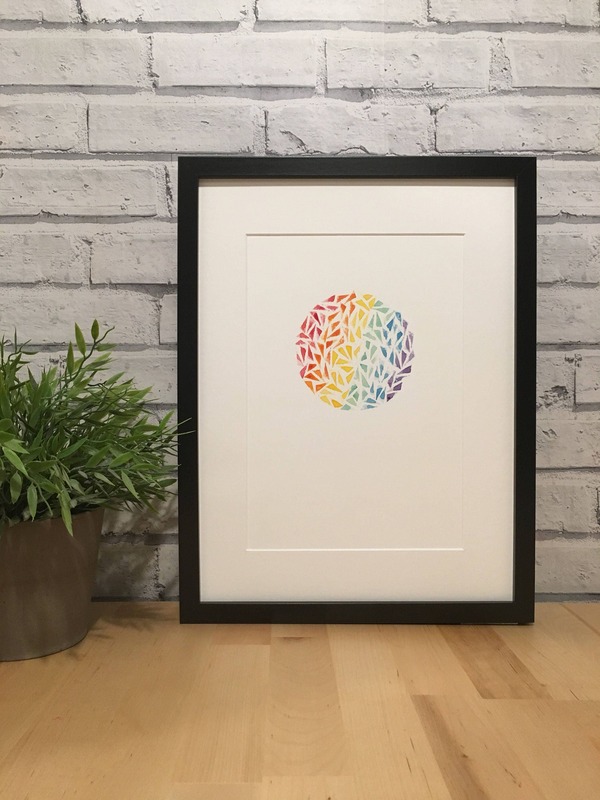 This is a print of my original artwork and comes in two sizes, A4 and A5. Each print is signed and numbered before being sealed in a cellophane packet. 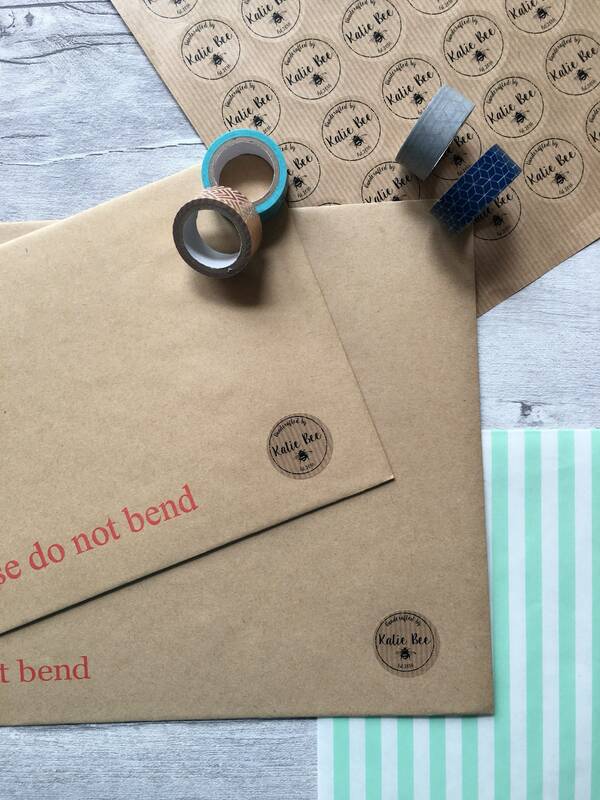 All my pieces travel to you safely in a hard back envelope!